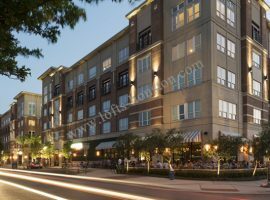 Looking for Upper Kirby apartments to rent? You’re going to find yourself with a wealth of Upper Kirby district apartments to choose from. Whether you’re interested in apartments on Kirby Drive, or perhaps River Oaks apartments for rent, it’s worth mentioning that you have tons of Houston apartments on Kirby that give you everything Houston and Upper Kirby has to offer. 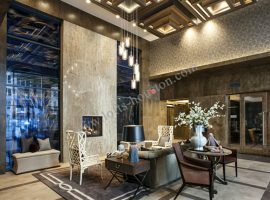 Whatever you’re looking for in a community, in terms of schools, restaurants, bars, night clubs, shops, and more, Upper Kirby Houston is bound to impress with locations like Gables West Ave or La Maison at River Oaks. With La Maison at River Oaks, you’re going to be near bars like Beer Cellar Bar, pubs such as Roeder’s Pub, restaurants like Houston’s Restaurant, and shops like the Antique Pavilion. You’re also getting a fantastic variety of 1 and 2-bedroom floor plans with deluxe apartment surroundings and amenities, excellent community access, and one of the most peaceful neighborhoods in Houston. Located between affluent River Oaks / Upper Kirby and offbeat Montrose, Apartments on Westheimer occupies a cultural crossroads. Individualism rules. Options are endless. Here's your chance to reinvent your world. 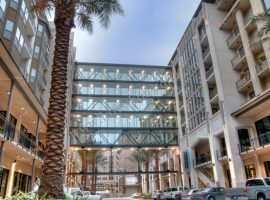 Home to approximately seventeen-thousand people, Upper Kirby is one of the most dynamic commercial districts in Houston. 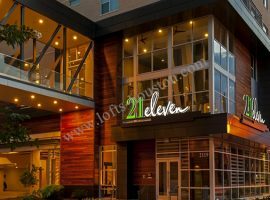 In addition to apartments on Kirby Drive or River Oaks apartments for rent, Upper Kirby Upper Kirby Houston is particularly well-known for their restaurants. You can sample many of them with Gables West Ave. Over three-hundred-and-ninety-seven spacious Upper Kirby apartment districts are available here. The movie theater, lounge, and game room are all nice amenities available to the resident. In addition to rooftop swimming pools and gourmet private kitchen, you’ll love the spacious and high-quality appliances/high ceilings available in floor plans like A7 and B1. 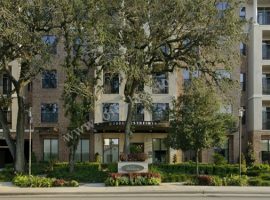 Looking for River Oaks apartments for rent? Check out Gables River Oaks. Many of the same features and dynamic, stunning apartments you can find at Gables West Ave has been carried over nicely to this particular structure. Over fifteen floor plans are available for rent, and for both work and play, you’re going to love how Gables River Oaks puts you mere moments away from everything the Downtown area has to offer. River Oaks remains an intriguing mix of young families, young professionals, and others. The Bell Meade at River Oaks is another great opportunity for River Oaks apartments for rent with all of these people as your neighbors. This building promises high-luxury Upper Kirby apartments to rent. Besides giving you easy access to the businesses, public transportation options, and everything else you need from the Downtown scene, the Bell Meade offers some of the finest floor plans in Houston.